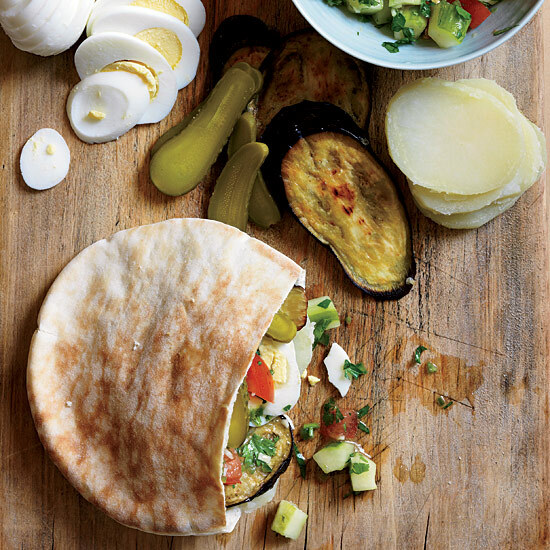 Delicious pita recipes to try, from Israeli roast eggplant, hummus, and pickle sandwiches to Circassian chicken. 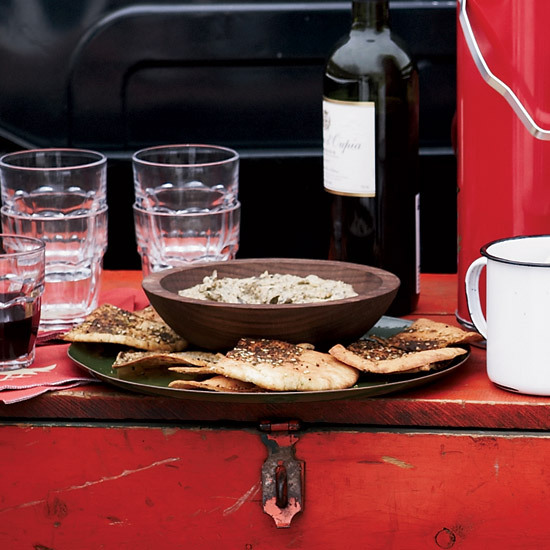 These crunchy chips are sprinkled with za'atar, the Middle Eastern spice blend made with sumac, sesame seeds and dried herbs. Za'atar can also be rubbed on meat and vegetables or mixed into marinades. Look for it at kalustyans.com. 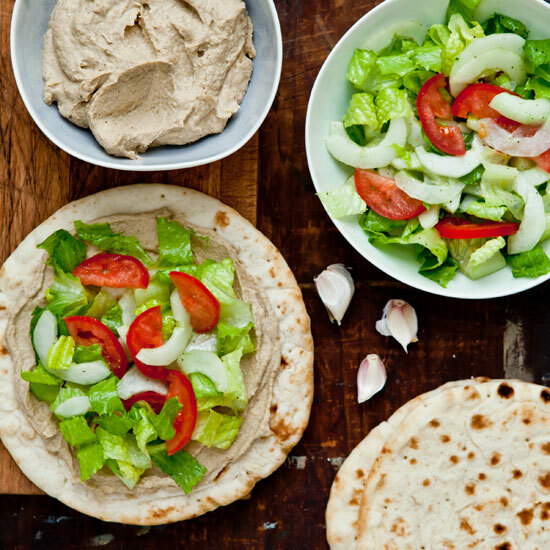 Chris Hanna learned to make these airy pitas from her Syrian grandmother, and she still insists on baking them from scratch when serving shwarma. "It isn't that hard to make your own, and the flavor and texture are far superior to the flaccid, sweet kind you find in most grocery stores," she says. Eat the first ones out of the oven slathered with butter, the way Hanna did as a kid. 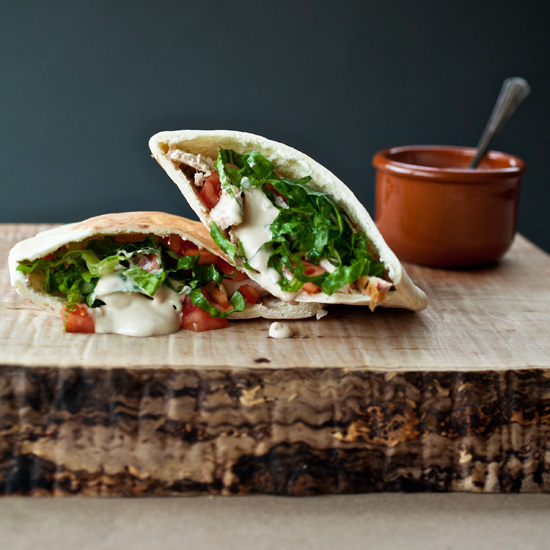 Michael Shemtov and chef Stuart Tracy prepare this messy, incredibly tasty vegetarian sandwich, called a sabich, with vegetables, hummus, house-baked pita and herbs from a garden right behind the restaurant. "The sabich is Iraqi-Israeli, just like me," Shemtov says. "It's a personal dish." 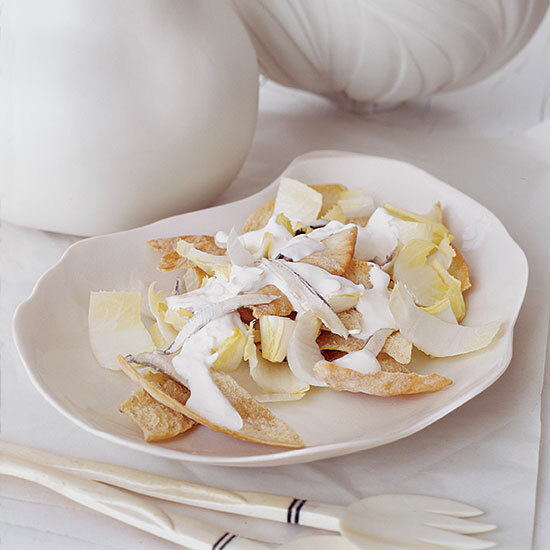 Large chunks of toasted pita stay delightfully crunchy in this bread salad, laced with white anchovies and topped with a garlicky sour cream dressing. 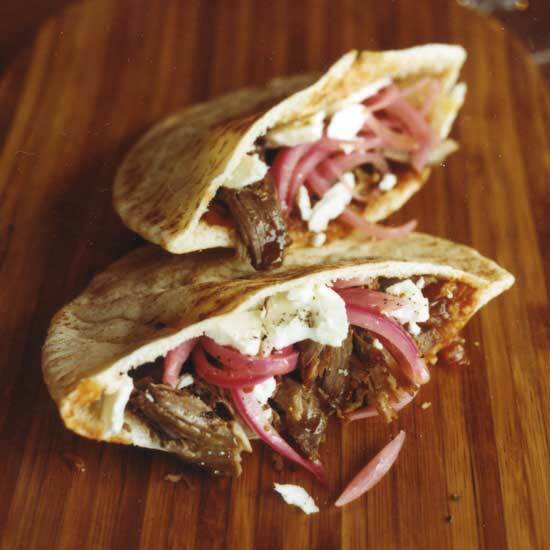 Chef Andres Barrera slow-roasts lamb until tender, then stuffs it into warm pitas along with pickled red onions, feta cheese and a bright-flavored tomato-ginger compote (also great on a burger or cheese plate). In one version of this recipe, David Burke makes a deviled egg salad spiked with hot sauce, mustard and Worcestershire sauce. In another version, he flavors the eggs with truffle oil and curry. Both egg salads get carefully scooped into egg shells, topped with diced beef and served with pita on the side. 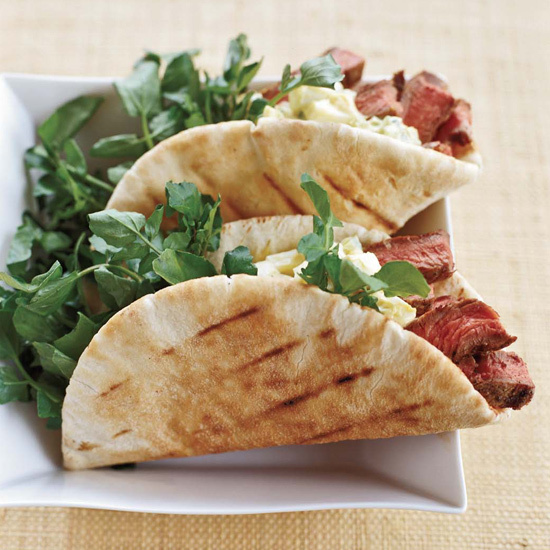 In this simplified version, Burke unceremoniously stuffs soft pita bread with the deviled egg salad and thin slices of grilled beef. 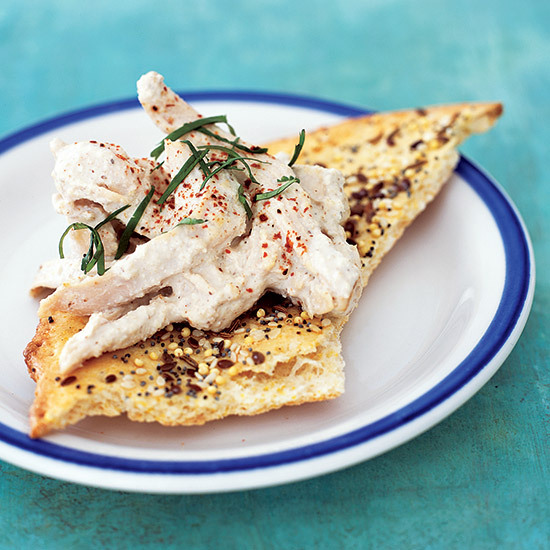 This cool chicken salad in a creamy walnut sauce supposedly got its name because its color resembles the pale complexions of the Circassian beauties in the sultan's harem during the Ottoman Empire. The mild, slightly nutty chicken is traditionally served as part of a Turkish meze assortment, and can be drizzled with red pepper oil. In this version, Turkish red pepper replaces the pepper oil. 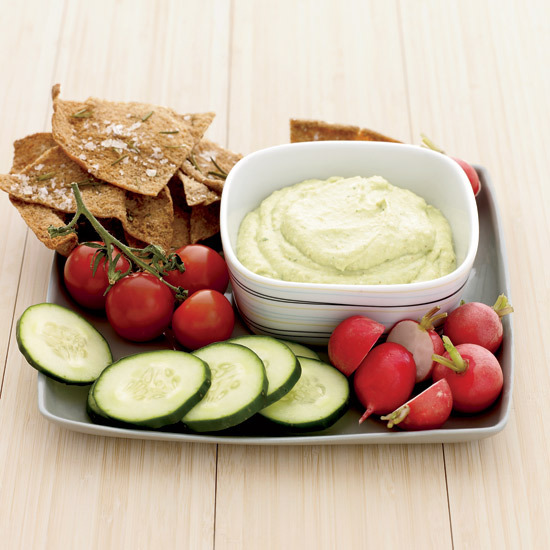 To create this tasty dip, Lee Anne Wong blends soft or silken tofu (which has an especially custardy texture) with high-potassium avocado and a little bit of low-fat sour cream and yogurt. 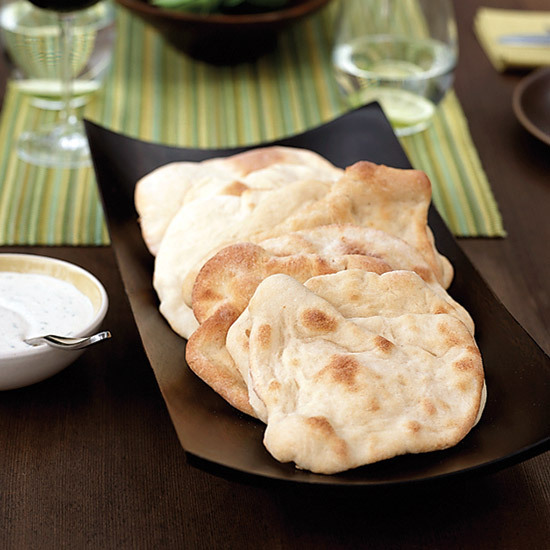 For extra fiber, she serves the dip with raw vegetables and rosemary whole wheat pita chips.